Even if you own the largest yacht in the world that might not save you from accidents or problems that might occur in international waters. 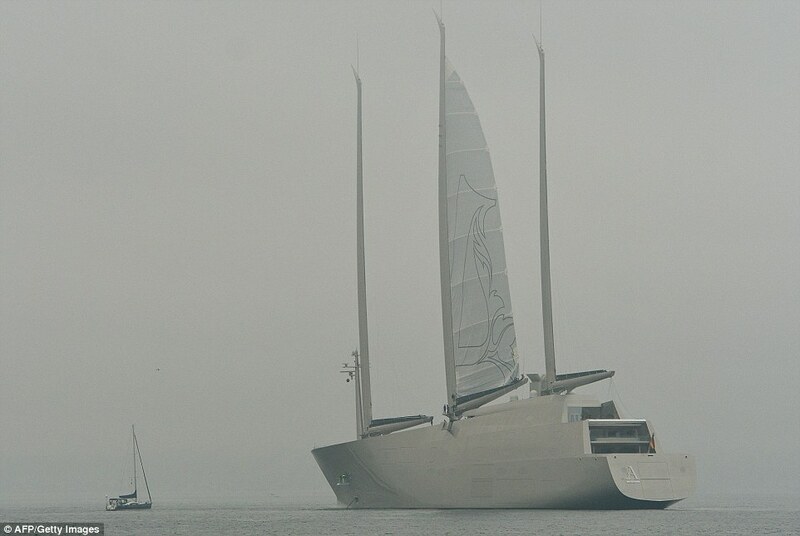 The super yacht known as S/Y A spans 142.8 meters but this sailing yacht has been seized at the Gibraltar port after it left the shipyard it was built at in Nobiskrug. The problem that occurred regarding payments for which the yacht has been detained, the sailing yacht left Kiel on the 5th of February in order to get more fit out works done as well as to undergo trials in the sea from Spain. These are part of the operations that will make the super yacht ready before it is handed over to the owner Andrei Melnichenkno, a Russian billionaire by the end of spring 2017. However, according to Plain Sailing, the shipyard Nobiskrug owners have filed a claim for a breach of contact regarding the yacht. This has come by as it is claimed that about €9.8 million, which was supposed to be paid by the company Valla Yachts Limited as final installment has not been paid as yet. This company has legal ownership of the yacht, but the deadline for payment of the final installment was January 27th by when the payment was not made as per terms on the contract with the shipbuilder. However the legal problems are not limited to such a payment not having been made on time. The shipyard also seeks additional several millions that are due for payment as subcontractor invoices as well as certain orders that are disputed over. Hence, the total claims by the shipyard come down to about fifteen million along with interest. Hence the vessel has been seized by admiral marshals by the Bay of Gibraltar and remains in custody of law and order personnel till the issue is sorted out. It remains to be seen how the dispute pans out between the two parties.